NCS offers several methods of drug screening to help you create a safer working environment. Through our nationwide network of collection sites and labs, we make drug testing efficient and affordable. A urine sample is taken at a collection site near you. The sample is sent directly to the lab for screening and confirmation. DOT and non-DOT lab testing services are available. 5 panel tests for Marijuana, Cocaine, Amphetamines, Opiates, and PCP. 10 panel tests for the above plus Barbiturates, Benzodiazepines, Methadone, Propoxyphene, and Ecstasy (MDMA). Negatives are typically reported within 24 hours & positives can take 48-72 hours depending on donor cooperation. 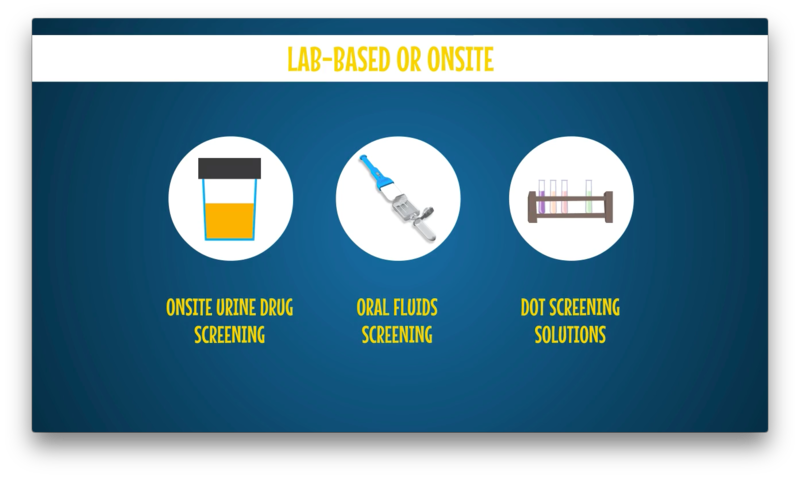 Oral fluid testing is gaining popularity with many programs that require convenient, gender-neutral specimen collection combined with the accuracy of lab testing. The test provides a short history of drug use, excellent for reasonable suspicion, post accident or for cause testing. Random Drug Testing Management is available at NO additional charge.